What is the Tree City USA Program? The Tree City USA program is a nationwide movement that provides the framework necessary for communities to manage and expand their public trees since 1976. 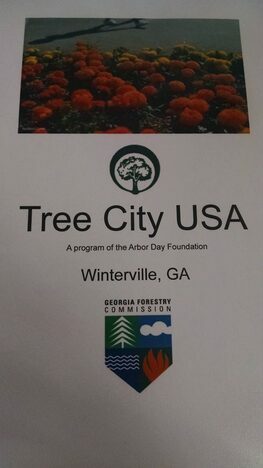 Winterville has achieved Tree City USA status. Saturday, April 14, 2018 - 2nd Annual Winterville Tree Tour, "Invasive Plants in Your Landscape", 2:00-4:00 PM, FREE! For more information on the Commemorative Tree Program download this brochure (pdf).